First purchased in Cole-Haan’s flagship San Francisco store, there charming pumps are distinguished by their deep red all-leather lining and red edge-binding at the opening of the shoe. 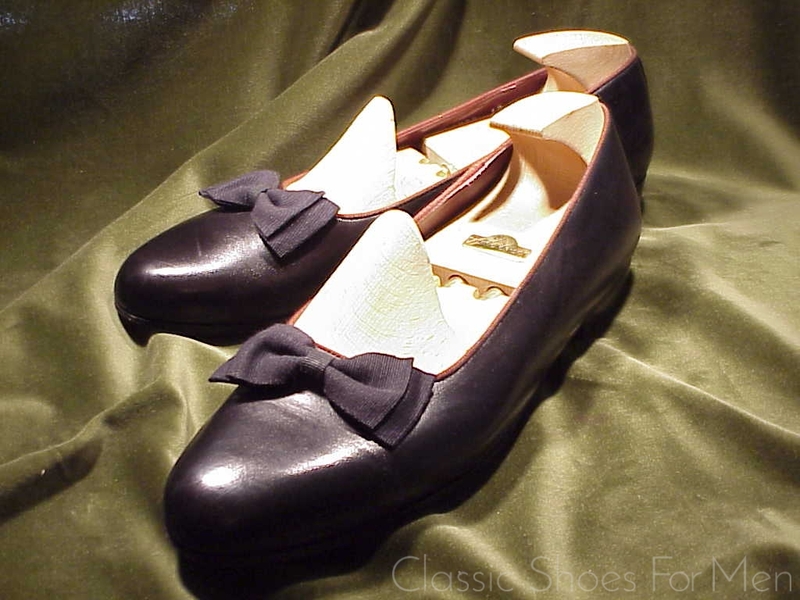 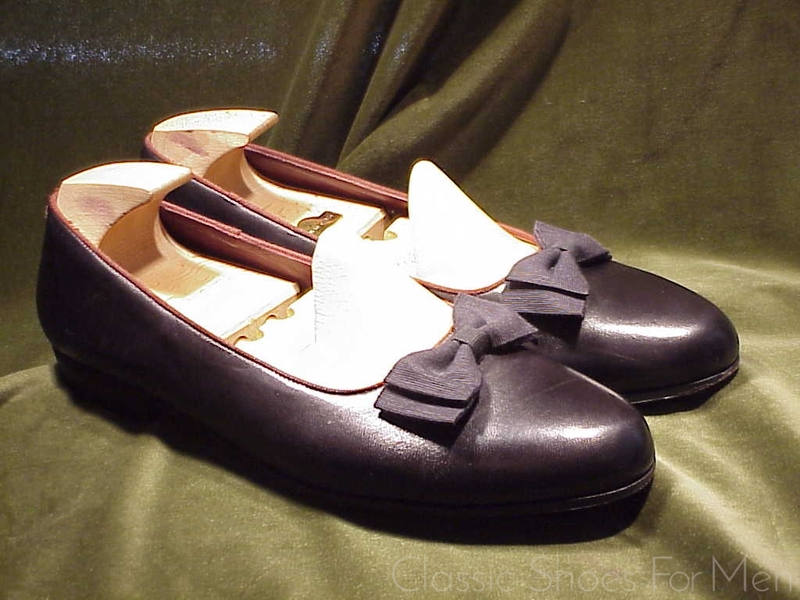 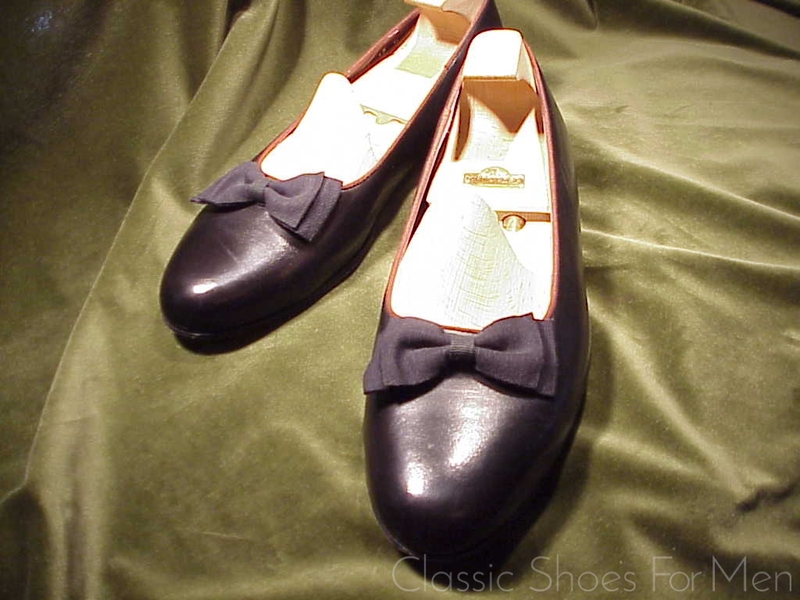 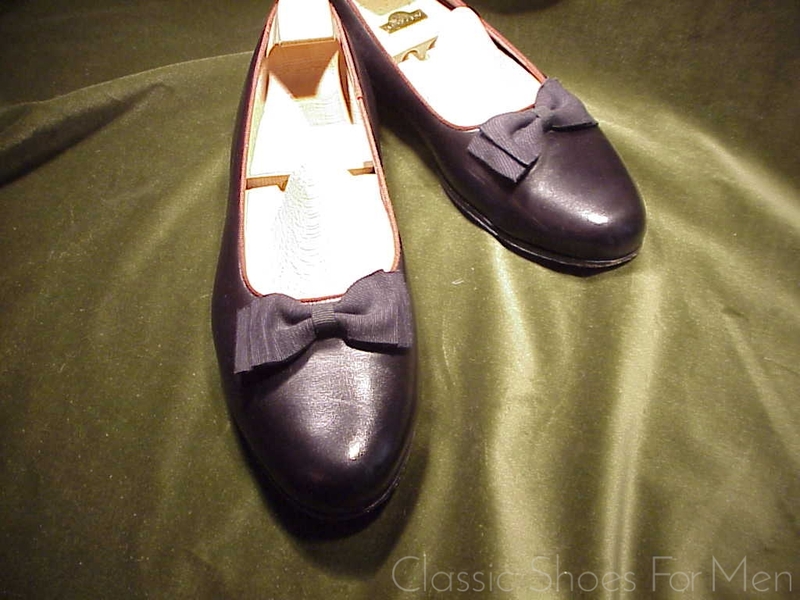 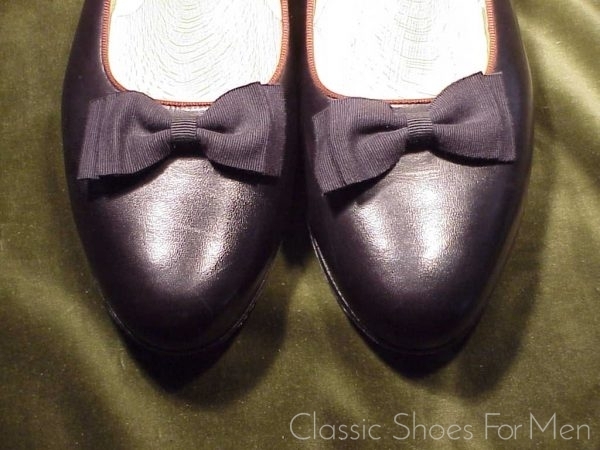 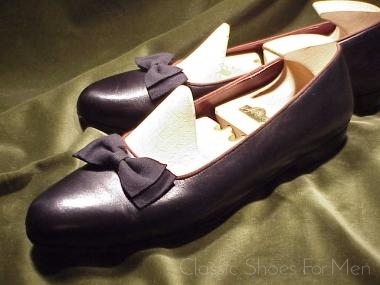 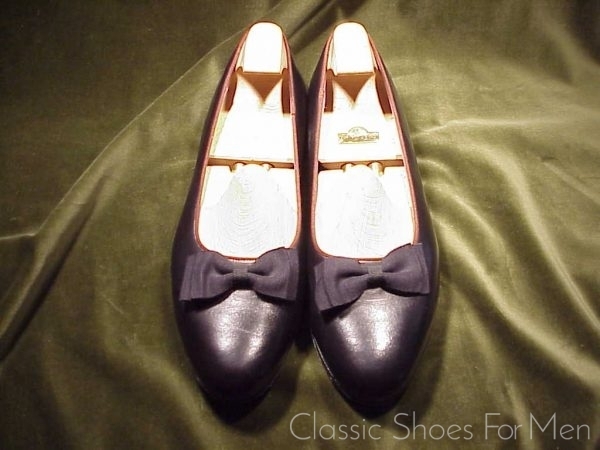 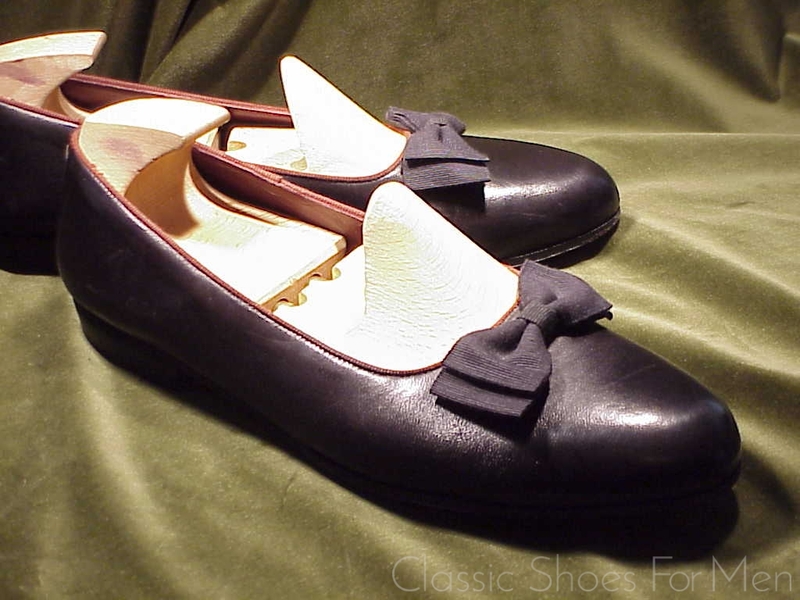 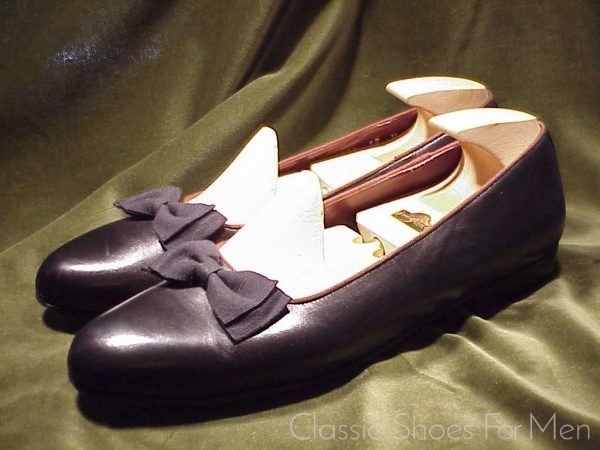 This model of Evening-Slippers, often called an “opera pump” or “court shoe”, with its Gros-grain bow, is the last word in elegance and the correct shoe for black or white tie, your velvet or brocade smoking jacket, for entertaining at home or out on the town. 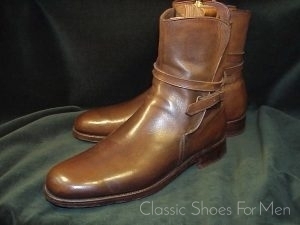 Of course, it can be worn with a wide variety of dress, formal or relaxed, all the way to jeans. 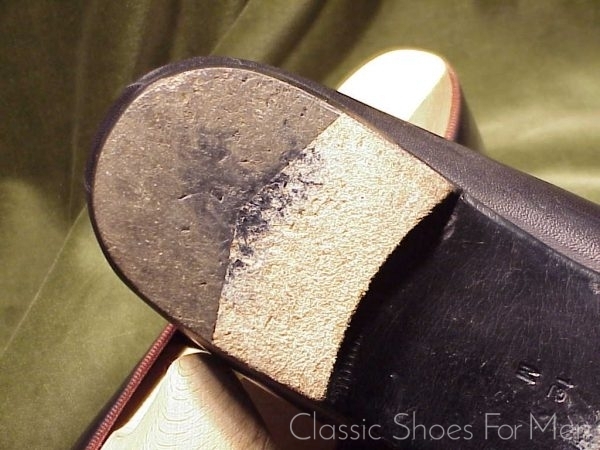 (Very smart with black jeans!) 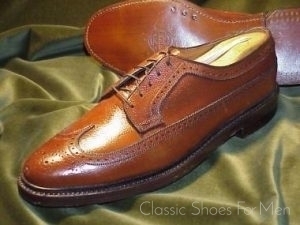 I personally prefer this discreet matte-finish calfskin to the more commonly seen patent leather version; a little less “Las Vegas” and a little more “Monte Carlo”, if you take my meaning. 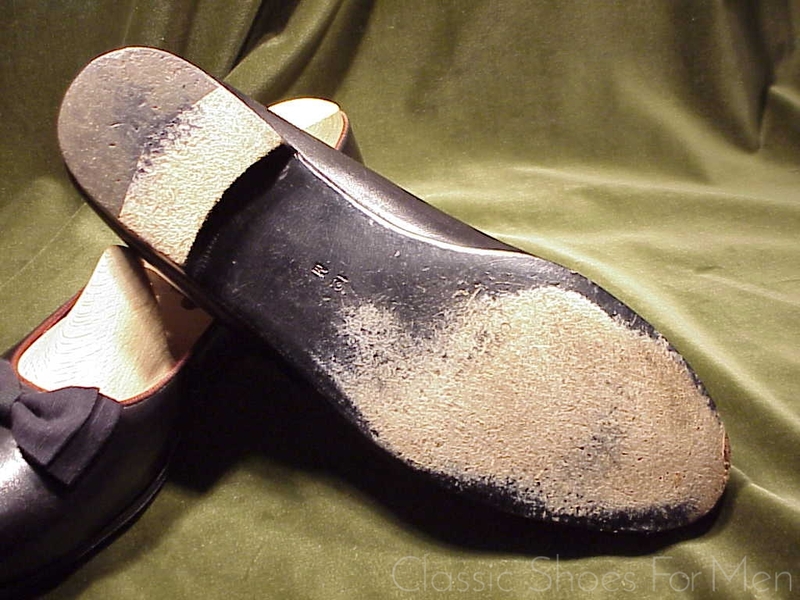 Slippers of this type are meant to be light weight and some examples by other makers are not particularly well made. 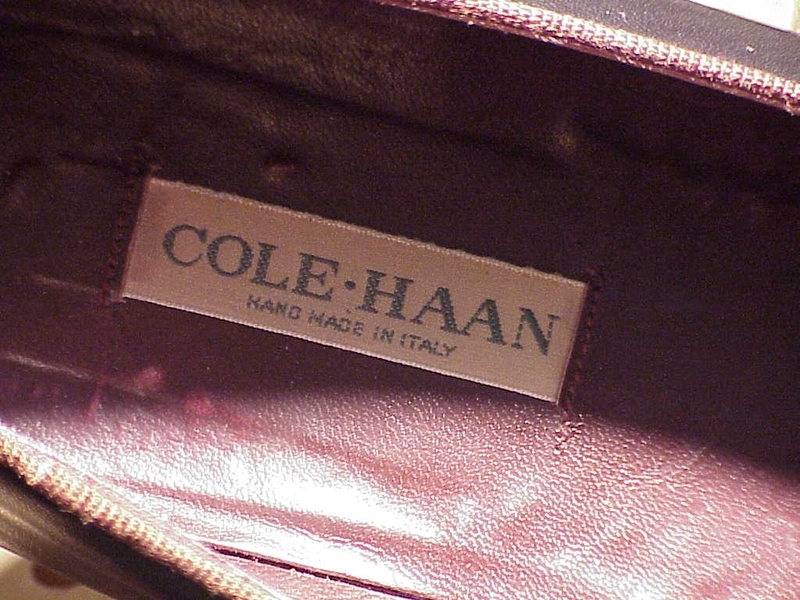 This slipper, made in Italy for Cole-Haan, has a sturdy leather sole and new, unused non-slip rubber heel. 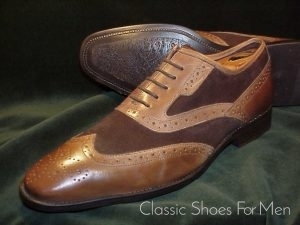 No doubt it will serve you long and well and most comfortably. 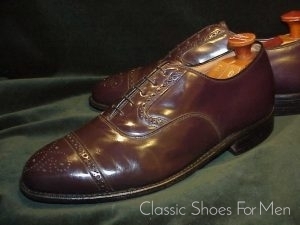 UK11E.......US12D.......Continental 46D, for the mid-width foot.